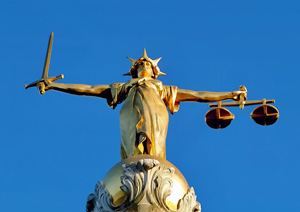 What is an expert witness and why might you need the services of one? An expert witness is someone who with the benefit of training, qualifications and experience can offer a factual independent opinion on any potential disputes that you may encounter related to buildings and structures. Expert witnesses may also be asked to produce a report which is compliant with section 35 of the Civil Procedure Rules in any legal proceedings that may ensue. Disputes with buildings and structures can arise in many forms including contractual matters, quality of materials and craftsmanship, design issues and boundary disputes, therefore an expert witness is often employed to help resolve such issues. It is undoubtedly more preferable to employ an expert witness early on before your dispute reaches litigation, and that is where SMT Associates can assist in the preliminary stages and potentially saving significant legal costs. Should your dispute progress however, it is reassuring to know that we can provide you with the advice you may need to resolve the matter whilst working alongside your legal representatives. Stephen Tucker of SMT Associates has undertaken the Cardiff University Law School Bond Solon Expert Witness Certificate which was the first university to offer expert witness training. This ensures a superior level of competence in the areas of report writing, courtroom skills and cross examination.